On April 4, Professor Ronald McCallum, former chairman of the Committee on the United Nations Convention on the Rights of Persons with Disabilities (CRPD Committee), currently teaching law at the University of Sydney, provided expert testimony for the Indonesian Constitutional Court on the proposed Elections Law. The Indonesian Mental Health Association (IMHA), in coordination with several civil society organizations (CSOs), appealed the Regional Elections Law on the grounds that it discriminates against persons with psychosocial disabilities, restricting their access to participate in elections. IMHA, a CSO in Indonesia that advocates for the rights of persons with psychosocial disabilities, noted that this case will determine the future of legal capacity of persons with psychosocial disabilities in the country. McCallum, who was Chair of the CRPD Committee from 2010-13 and Vice-Chairman from 2013-14, outlined several arguments supporting the right of persons with psychosocial disabilities to participate in political life in his testimony before he Indonesian Constitutional Court. He noted that CRPD Article 29, which notes that all persons with disabilities have a right to participate politically, and CPRD Article 12, regarding legal capacity, when read together signify that “countries are required to assist persons with mental and/or psychosocial disabilities to exercise their right to vote in elections.” Furthermore, the UN High Commissioner for Human Rights produced a thematic study on the political participation of persons with disabilities, which highlights the continuing challenge to eliminate restrictions to voting for persons with psychosocial disabilities among countries that, like Indonesia, have ratified the CRPD. McCallum also recalled pivotal court cases that have supported rights of persons with disabilities to vote, including the European Court of Human Rights decision that upheld the right of persons with intellectual disabilities who had been placed under guardianship to vote (Kiss vs. Hungary) and the finding of the Tokyo District Court to reinstate voting rights to a woman with an intellectual disability who had been placed under financial guardianship. 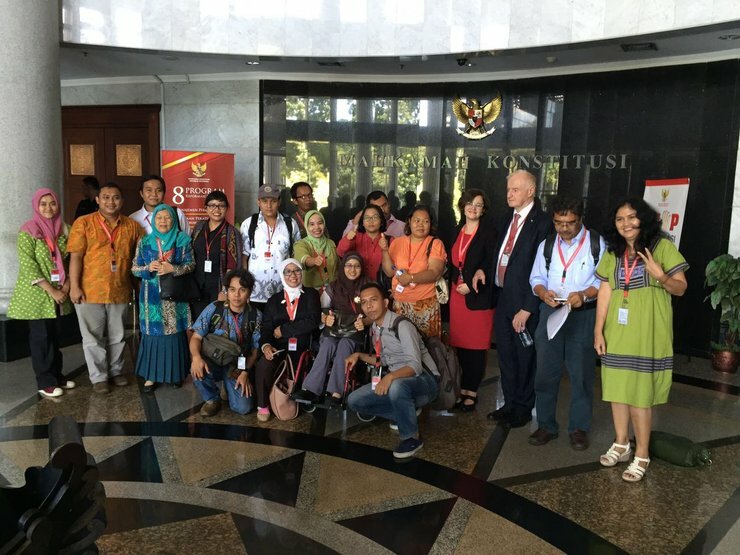 McCallum’s visit to Indonesia was supported by the International Foundation for Electoral Systems (IFES), and his expert testimony will be used by the Indonesian Constitutional Court to determine if persons with psychosocial disabilities will have access, under the proposed law, to vote in regional elections.